Although a big bulge in the pants may be good for getting girls to notice you, sometimes it can be for all the wrong reasons. 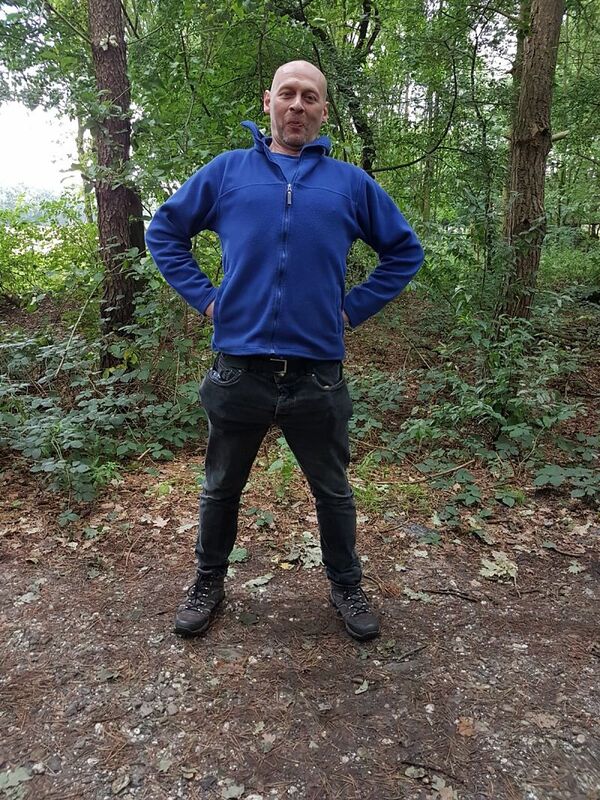 When your pants have pockets that are bulging so badly it almost looks as if you are wearing Jodhpurs, things have got seriously out of hand and I was recently confronted with photographic evidence that showed things were not looking good for me in the trouser department. Several years ago, when I was still living with my wife, she took a look at my pants, started shaking her head, and told me I was suffering from such a bad case of pocket bulge my pockets reminded her of a chipmunk. I didn’t do anything about it at the time, but the fact that my pockets were letting me down remained at the back of my mind. More lately, I’ve become a little more paranoid about the bulges in my pants and generally spend a little time in front of the mirror, checking for unsightly pocket bulge, before I got out on a Saturday night. It usually looks pretty bad, so I tend to swap my big, blue cotton bandanna for a small, black silk handkerchief. Then I make sure I’m not carrying too much pocket change and I’m good to go. A couple of weeks ago I was with a lady friend in Belgium. We were walking in the woods and she told me my pants looked a mess. 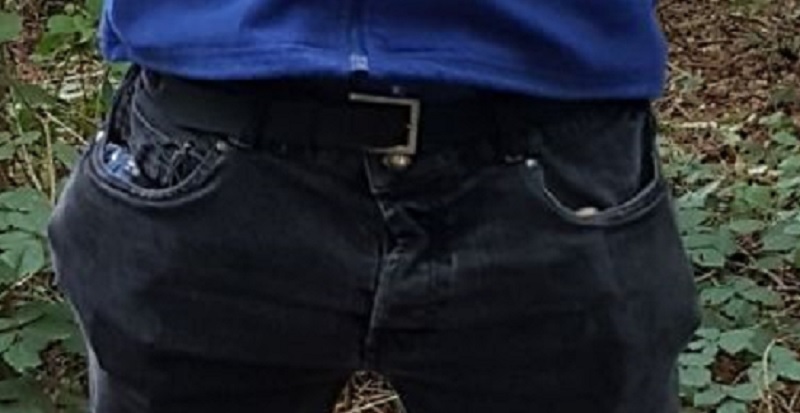 Determined to prove her point, she took out her phone, snapped a few pictures of me, zoomed in on my pants and then showed me how bad my pocket bulge problem had become. There was no need to argue with her. I could see I looked like a pratt. The contents of my pockets are generally the same most of the time and, on the day in question, my right front pocket was home to my big blue bandanna, my Swiss Army Knife, and a key purse that was also stuffed with coins. My left front pocket contained my wallet and phone. It doesn’t seem like a lot when you see it written down, but I usually have a lot of coins in my purse and my wallet is pretty fat. A fat wallet sounds like a nice thing to have, but my wallet was fat because it’s made of thick leather, has several different compartments, and generally, contains a lot of crap I don’t really need to carry around with me. I live a minimalist lifestyle and I don’t own much stuff, so it’s probably pretty strange that I overdo things when it comes to filling my pockets. I’ve had to have a serious think about what I’m going to carry around with me in future. I find my Swiss Army Knife very useful and use its toothpick several times a day. I also often find the two blades come in handy. I use the shorter one for normal cutting jobs (string, paper, etc.) and keep the larger one for food. The other features, such as the can opener, come in handy too, but I only use them from time to time. My knife is handy to have with me, and it’s not one of the larger sizes, so it’s an item that’s going to stay in my right pocket. I’ve stopped using the key purse, though, I just pop my door keys directly into my right pocket now. My mobile is also rehoused to my right pocket and, if I’m wearing a jacket, I place it inside inner breast pocket instead. The bulge in the left pocket became slightly less pronounced when I transferred my phone to the other side, and I’ve managed to further reduce pocket clutter by buying a new minimalist wallet. It’s considerably thinner than my old one and has such small dimensions it would be impossible to overload it with cash, cards, or slips of paper. I use the left pocket to store my silk handkerchief as well. If I used the right one the delicate fabric may be damaged by the keys. 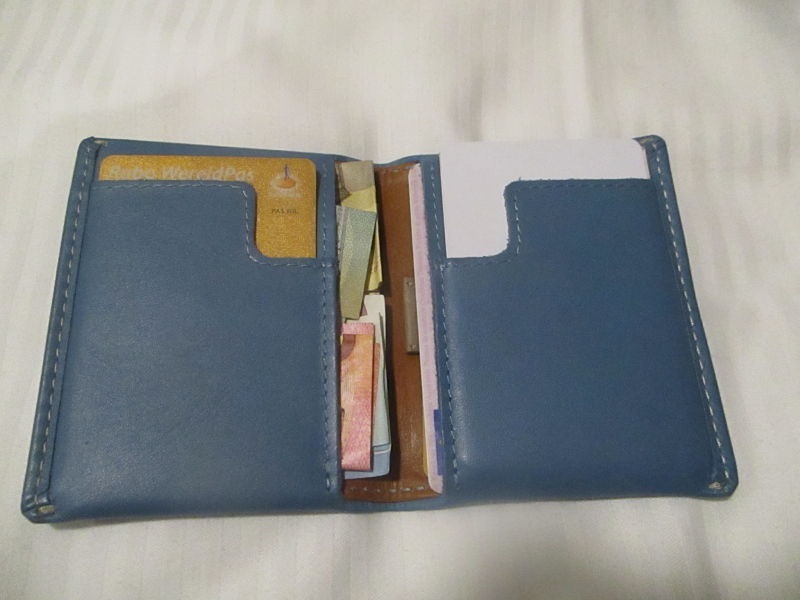 My minimalist wallet is nice and smooth and does not have any jagged edges.